My Dad put me on my first un-started horse in an alfalfa field and told me to kick until she moved. That was the entirety of my first colt starting lesson. When the mare finally did move, it was all a blur of barbed wire, ditches, water and brush. It was a poor way to start and did not improve much for years. That sort of raw horsemanship led to confusion and conflict so I set out to learn. 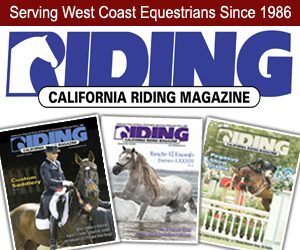 I rode every horse I could, read books, asked adults, took classes and did anything else I could to learn about horses and how to get them to do what I wanted them to do. In the end, all it provided me with was… nothing. In retrospect, maybe it was worse than nothing. What I learned was how to dominate, control, direct etc. 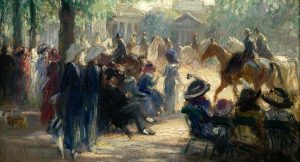 for pleasure, competition, transportation or work, and the horse became a means to an end. Not that using a horse to these ends is necessarily bad, but it did not satisfy the craving that brought me to a horse in the first place. Montana must have the highest number of saddle bronc riders per capita in the world. Horses here are often run in herds in the hills until they are four or five and then started quickly in the spring to use during the short summer months. Large, strong horses are the norm and most get the winter off to think up trouble. If you ride colts in the eastern two-thirds of the state, you’d either better learn how to ride an explosive horse or rack up frequent flyer miles. When I hear someone talk about how all horses are good and that they would all be gentle if they were started right, I can’t help but chuckle. After a particularly bad wreck early on, I was seeking out older guys to understand what happened and how I could have avoided it. They didn’t know, but suggested I go watch one of the locals who was trying to make a living doing clinics at the fairgrounds. I didn’t really want to go sit and watch some know-it-all start a few back yard colts but I had nothing better to do, so I went. At the time, Buck [Branaman] started all of the colts in his clinics and the owners rode them on day two. I had seen many colts started quickly but these all acted like they were under some kind of serene spell. I could feel the thing I was searching for present in the process. I went home to copy what he was doing and spent two years nearly getting killed every day. An interesting thing happened when I graduated from college. I had decisions to make about the rest of my life and I had questions about God. Not that that is unusual, but I realized that thus far in my life none of my decisions had led to what I wanted, and the good things that had occurred had nothing to do with my choices, gifts or intellect…they just happened. So I got serious about being open to any truth I might become aware of and worked on being willing to do anything this thing that created us might tell me. None of this had anything to do with horses, but a strange thing began to happen. The horses I had to ride were difficult, but everything I was doing with them became easy. I could feel what they were feeling, their thoughts ran through my own mind, I had the solutions to problems and some part of me was completely unable to cause any harm. I think this creative thing we call life or God or whatever we want to call it is always among us, aware of us, and I had only to listen. So, there it was, the thing that I had craved since first seeing a horse as a small child. What it took to get there was a new perspective, genuine humility and openness. I think most of us get lost. Maybe not all people, but certainly most. We grow up and our ego begins to form. We lose our innocence and openness. We come to rely on our logic, defend ourselves and our perceptions and in so doing, blind ourselves. We take to labeling things in an attempt to understand them and work so hard to retrieve what we had an innate sense of as a child, but have misplaced somewhere along the way. In my case, without work or intending to, I got to experience for a short while, unity with horses. Then as suddenly and abruptly as it had arrived it was gone. The veil had dropped back over my eyes and no amount of trying to force my ego into humility or my ears to be open to the voice of the thing that made us would retrieve it. Shortly after these few months of openness, I was working a wild colt when a thin, older gentleman, came to the round pen and stood watching what I was doing. After talking a bit, he introduced himself as Roy Yates. 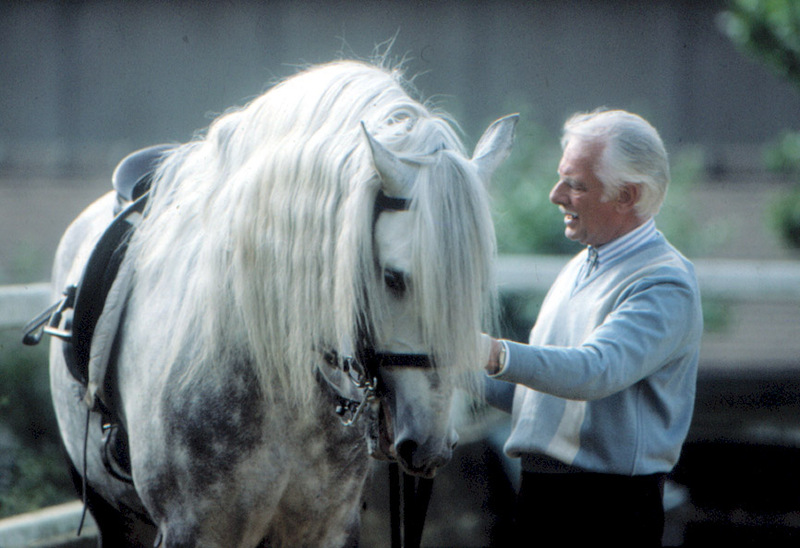 Over the next few years I got the privilege of riding with Roy, who had trained with Charles Williamson, a brilliant horseman who applied the principles of classical dressage to western training. I called Roy with any training problems that I encountered from then until the time he passed away. 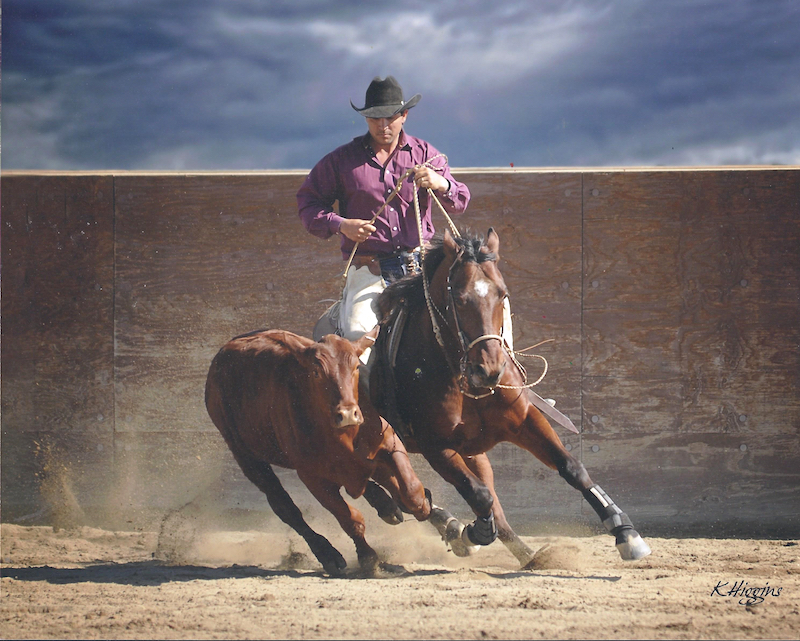 I’ve also had the opportunity to ride with many other world-class horsemen in the reined cowhorse discipline. They are great horsemen and most of them have an intuition about the physical aspects of riding, are terrific athletes and thrive on competition. I admire these things but there was something in Roy’s approach that satisfied something deeper than competition or performance. It was frustrating and difficult to apply because it always involved doing less. When working cattle on horseback, instant responses at high speed are a must and “doing less” when the clock is ticking and tenths of a second can make or break your run is difficult to say the least! But in the end, when a competition went well, when a horse finished in a way that I was happy with, it was always due in large part to the principles I had learned from Roy. Applying his techniques focused on lightness, I was able to find some of the oneness that I had tasted during my time of awareness of the horse. Looking back over what I learned from Roy, I have found that what he was teaching me was that the horse has to be left with his will. He cannot be forced or even expected to respond blindly. He needs to be taught in such a way that fosters within him the desire to do the job ahead of him, the outcome being that the horse understands what is being asked of him and he offers you his help. The currency of all of this is lightness. With lightness, the horse is never under enough pressure to cause him misery and his will is considered throughout. 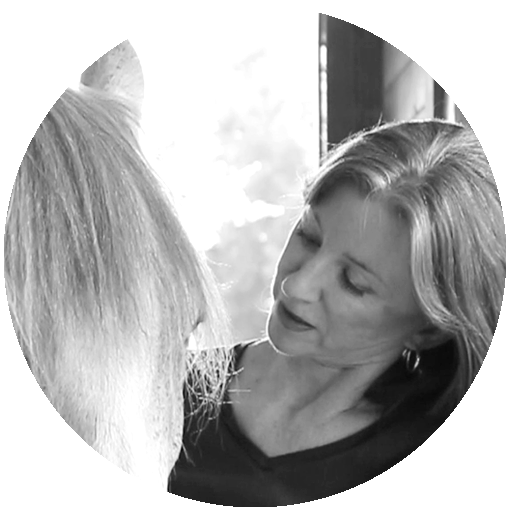 Not that this process can always be cuddly; boundaries have to be drawn and work needs to be done, but respecting the will of the horse is an integral part of the process. There are instances when force can overcome resistance and at times is absolutely necessary. But if force is a theme in training, the horse will have internal disagreements with his rider and at the critical moment when the rider most needs compliance from his horse, those disagreements and their accompanying resistances will undoubtedly rear their ugly heads. Conversely, when training in lightness, small misbehaviors that could easily be glossed over with an application of force must be taken seriously by the rider and dealt with or the horse will fail to respond to the light requests. This approach develops a thoroughness and patient compassion in the rider. The horse rewards him with loyalty and trust, becoming his trusted partner that will fill in willingly in times of strain. So as I see it today, we riders want to have a kind of oneness with our horse and that can only happen if we leave our horse intact. We must play the game by the rules and the rules are made by the thing that made us and the horse too. If we let our ego and our will get in the way, we make ourselves blind and deaf and we will be left with nothing more than mechanics and logic. If we are to direct the will of the horse to a common goal without damaging the very thing we seek, we have to be light. Oneness is the destination, humility is the map and lightness is the path. Learn more about Tye MacDonald at http://www.macdonaldperformancetraining.com.